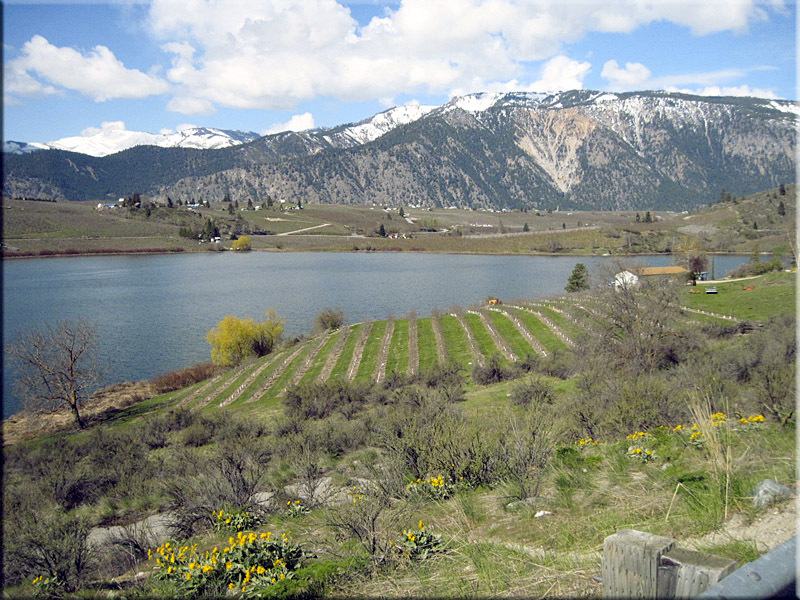 Roses Lake, on a plateau above Lake Chelan. An essential part of living in Western Washington is to get a bit of sun during the gloomy winter. 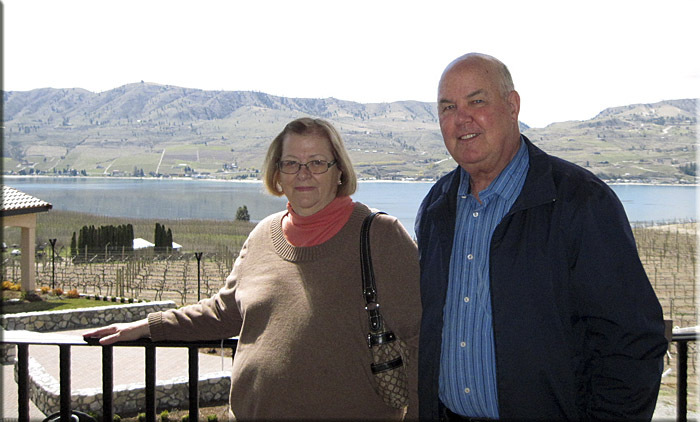 With our repetitive commitments canceled during Easter Week, Pat and I made a spontaneous decision to head east, over the Cascade Mountains, for some sun at Lake Chelan. This popular get-away for Seattle residents is a narrow, but 55 mile long lake, which extends from the eastern foothills, deep into the Cascades. One might think that it is a dammed up river, but the lake is natural, and the second deepest lake in Washington, extending down 1,300 feet in places. A small dam at the southern end added about 20 feet to its depth, so as to control its rate of flow from winter through summer. The dry, sunny foothills east of the Cascades are prime fruit producing country. 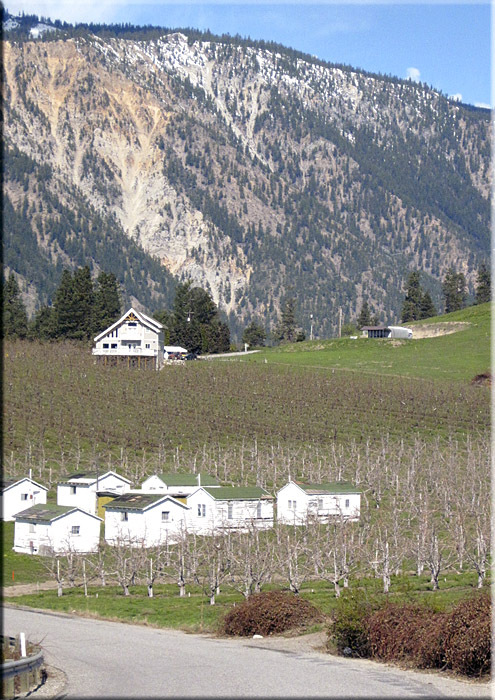 It has long made Washington famous for its apples, but increasingly, it is known for its fine wines. It's weather replicates Tuscany, and Pinot Noir, Sangiovese, and Pino Gris are some of the varietals that do well here. The fruit industry is mature here, and huge packing plants are visual testimony to tonnage of various fruit that is exported from this region. A pear orchard with cottages for migrant workers. 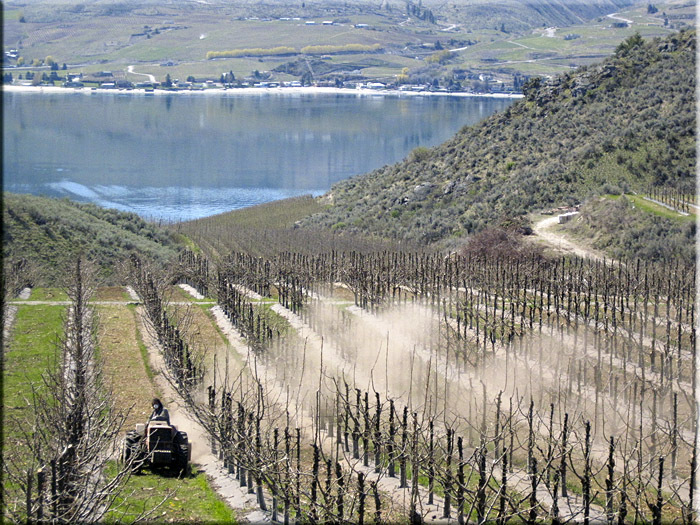 Lake Chelan is in the valley beyond. My camera of choice is an inexpensive Canon A1100 IS. Since photos on web pages are actually very low resolution for speedy download, lugging a serious camera with all the lenses is wasted effort. I much prefer something small that I can have available all the time. A tractor clears weeds between the vines. 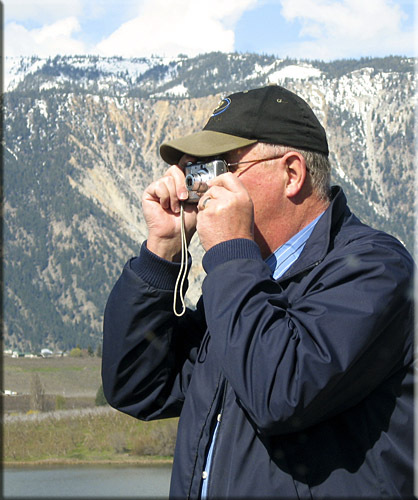 Lake Chelan is in the background. 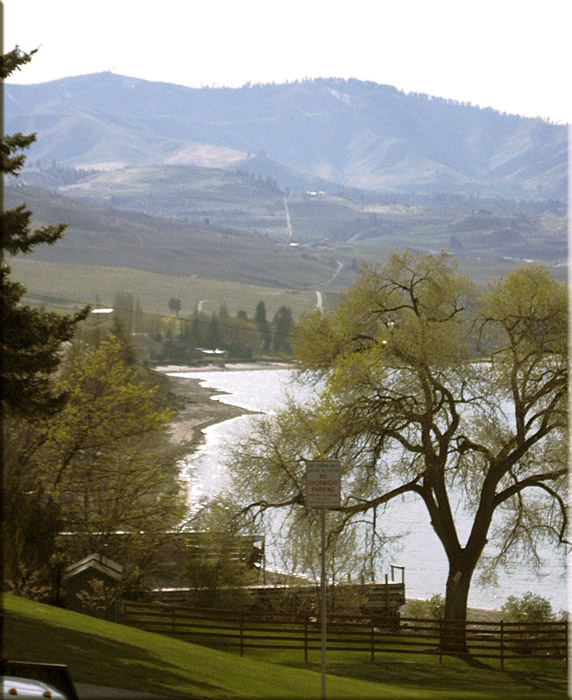 A view from the Benson Winery. 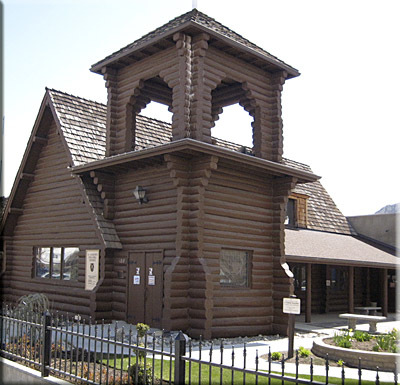 This log church in Chelan was built in 1898. 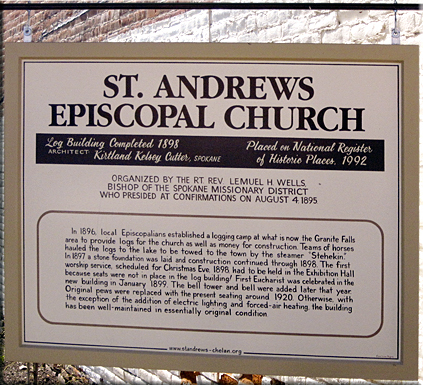 It was placed on the historical registry in 1992. 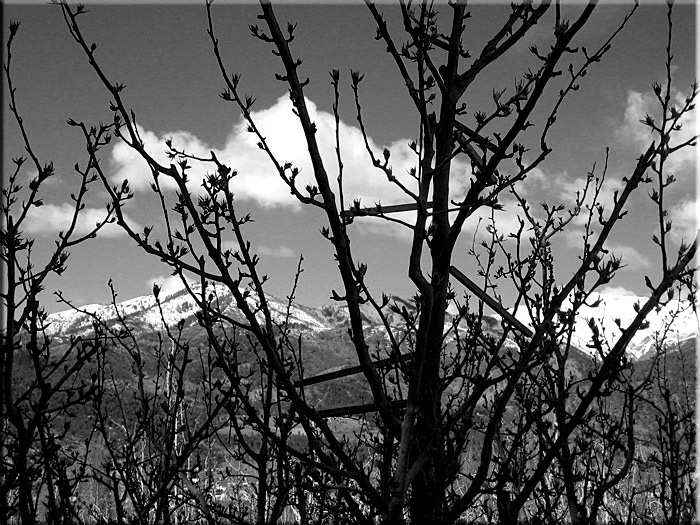 South shoreline of Lake Chelan. 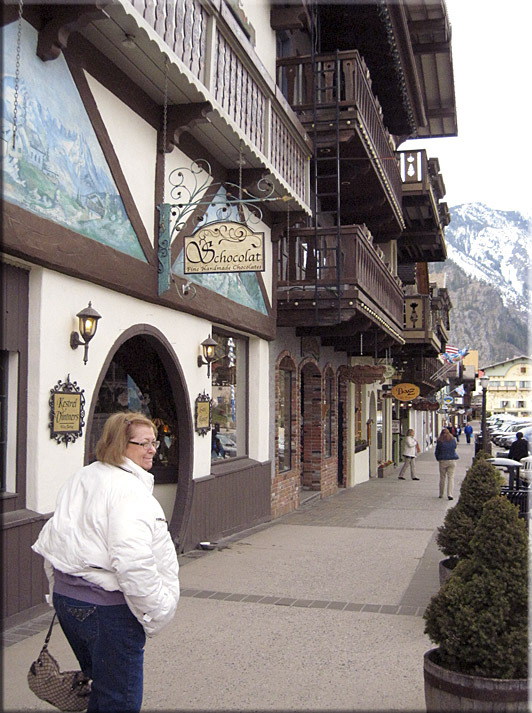 Leavenworth, in the eastern Cascades, prides itself for its German architecture. 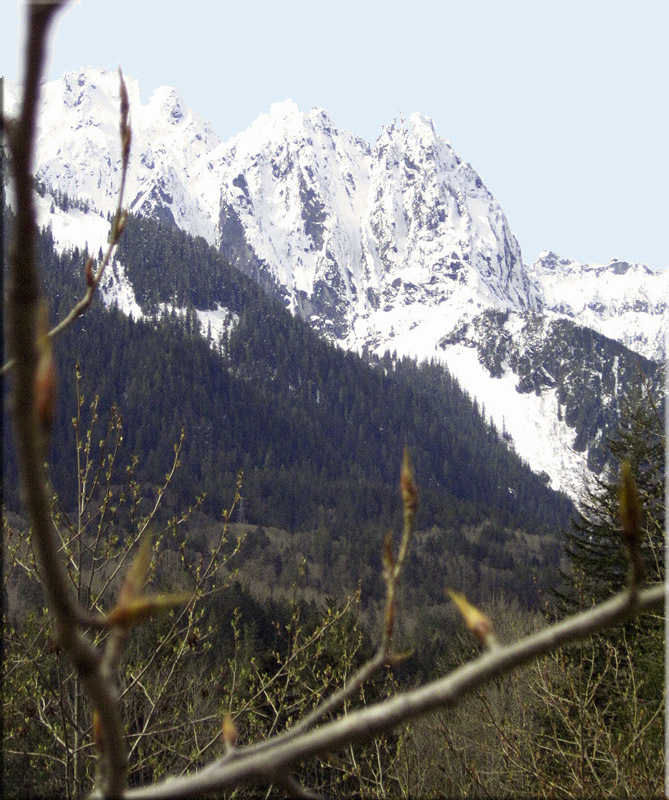 Descending their western side on Highway 2, the Cascades show their grandeur.